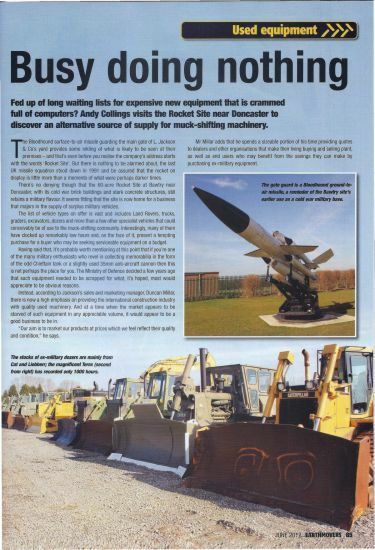 We recently featured in the June edition of Earthmover Magazine which presented readers with an outsiders perspective of our products and services. It presents a good insight as to the benefits of buying good used low usage Ex. Military vehicles and plant rather than purchasing newer but higher usage units from the civilian sector.